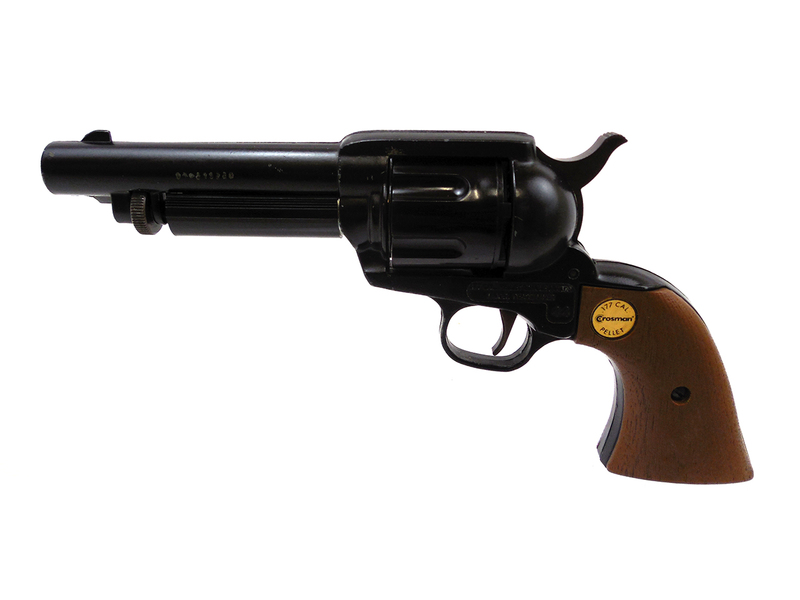 The Crosman 44 Peacemaker is a full size replica of the Colt Peacemaker firearm. 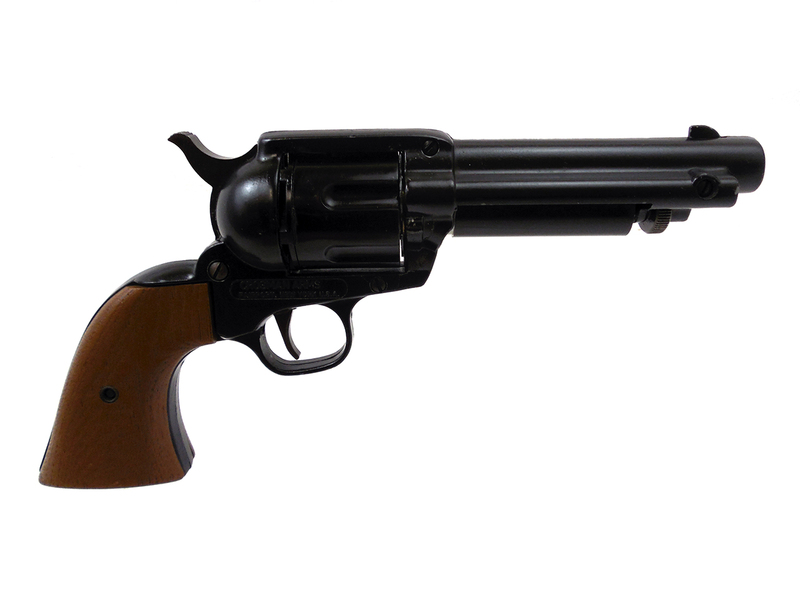 They’re a .177 caliber, single powerlet CO2 powered, single-action revolver. This one includes a clip-on CO2 cover. 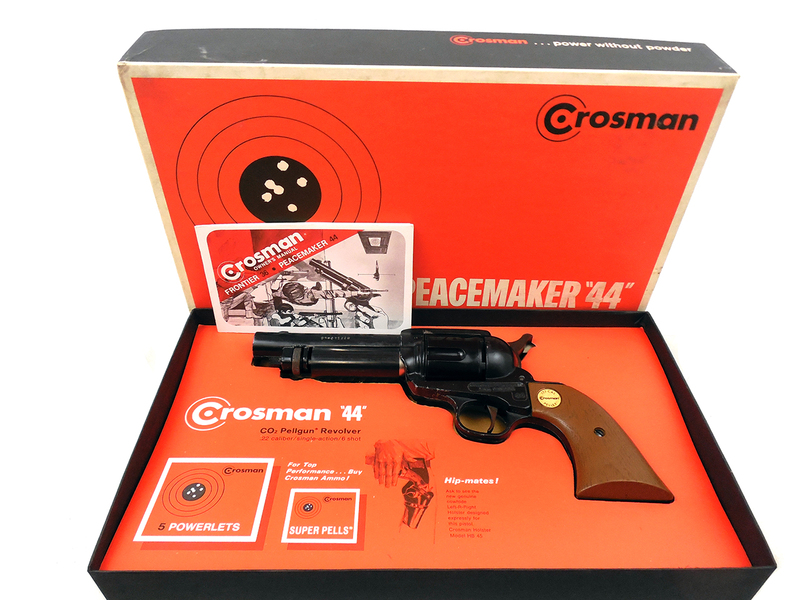 An original (.22 cal) factory box and owner’s manual are included. 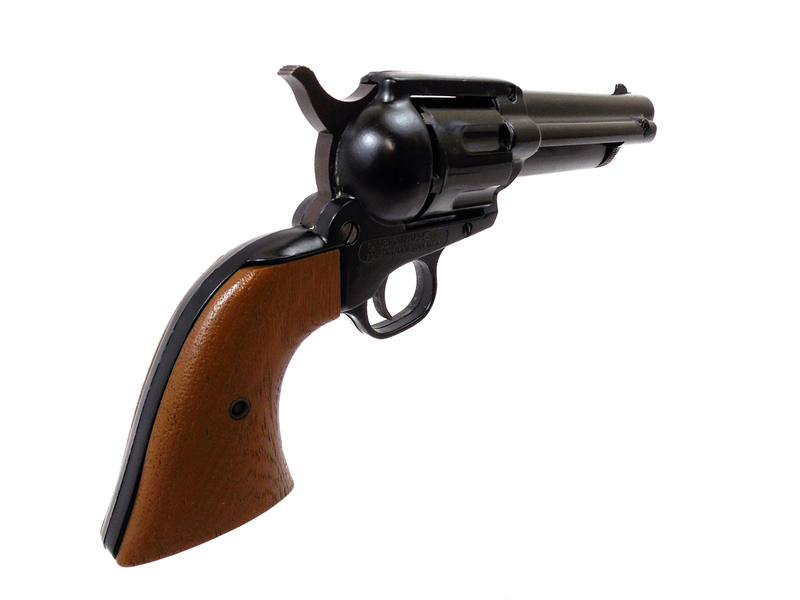 The metal retains about 90% of the original finish and the grips are in very good condition as well. 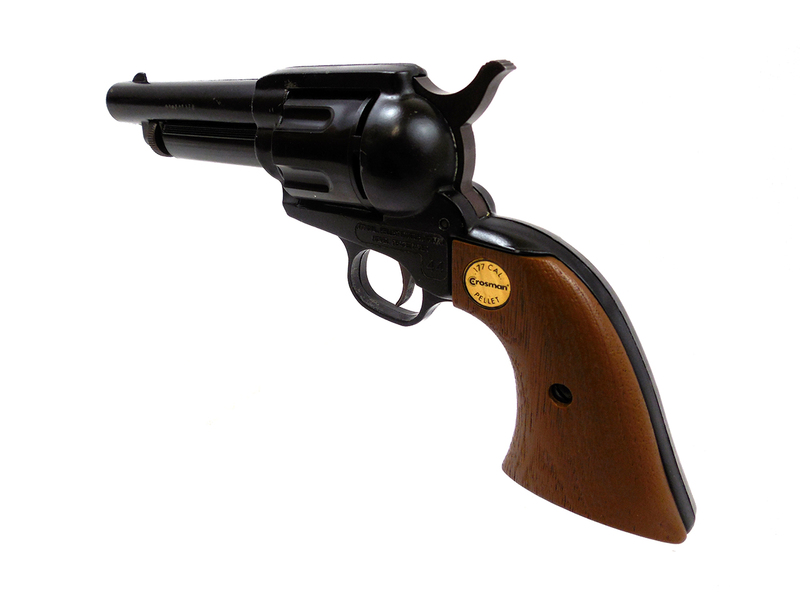 It’s a great looking Crosman 44. It’s been cleaned, lubed, and resealed in our shop. Velocity tested at around 325 fps.